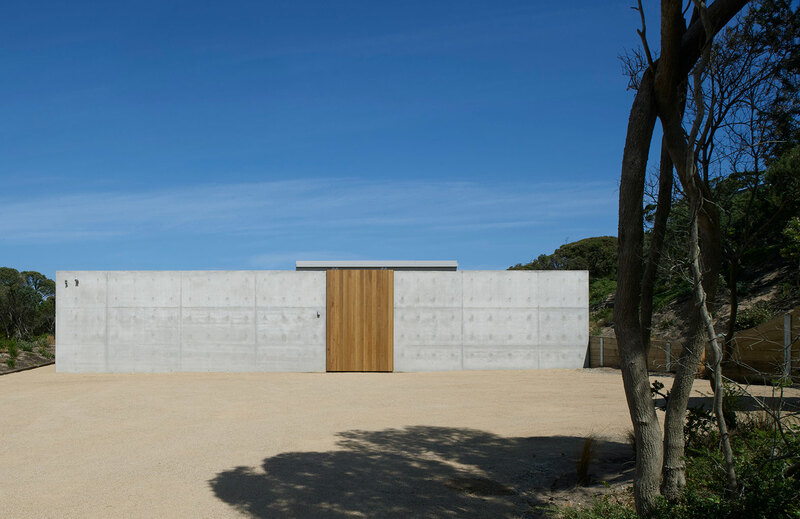 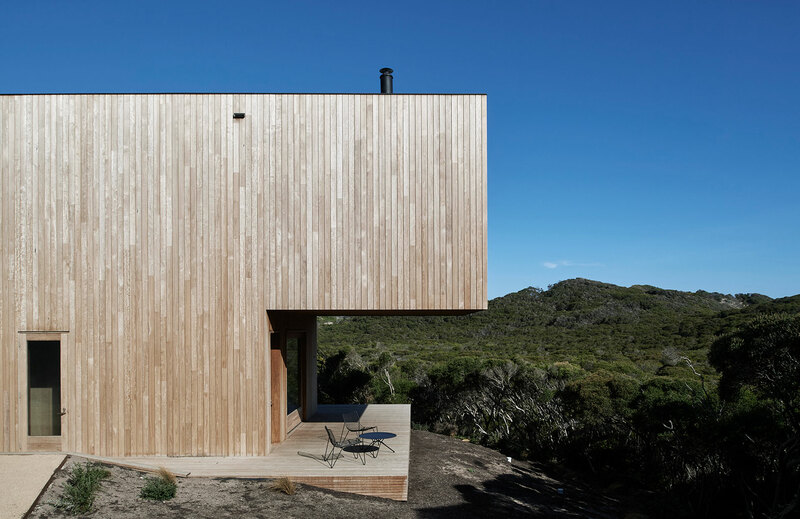 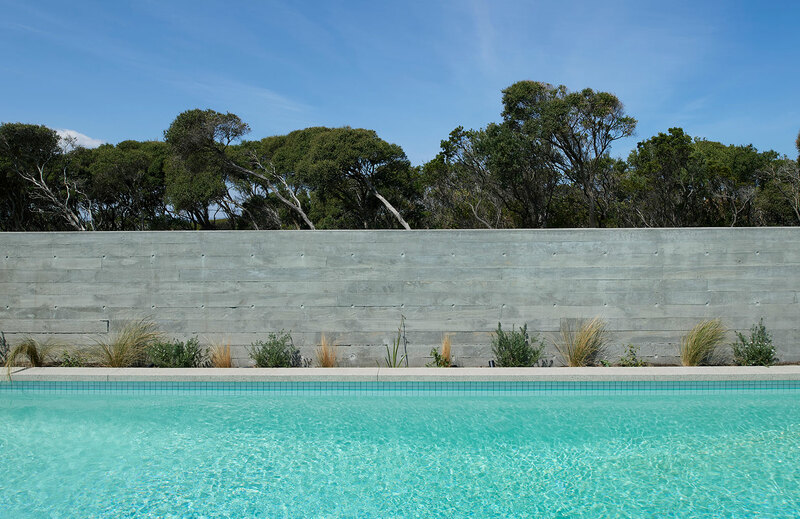 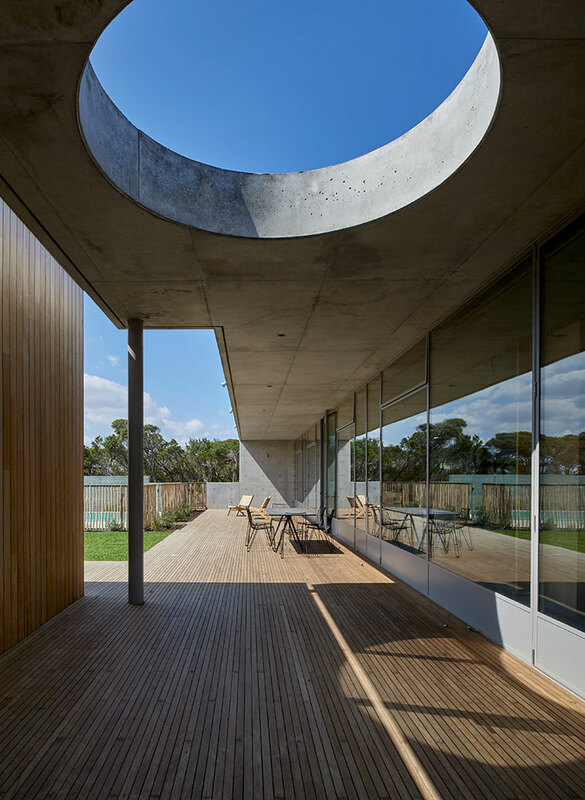 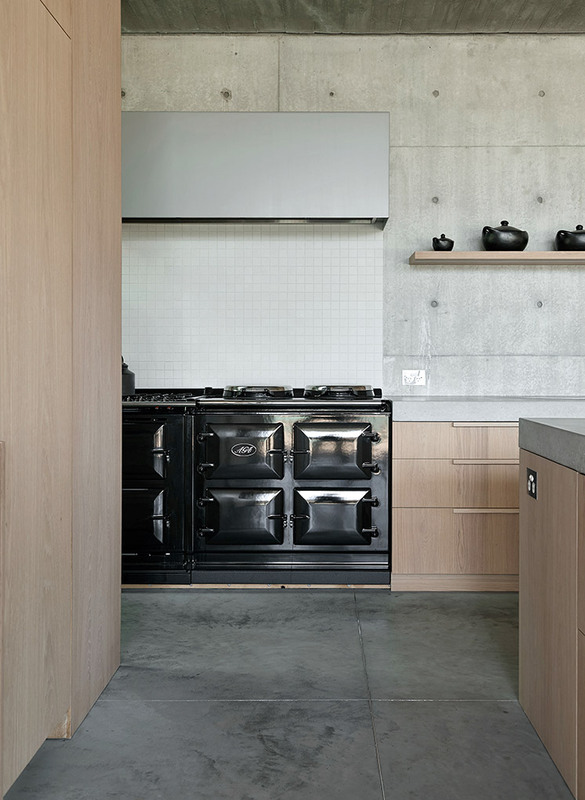 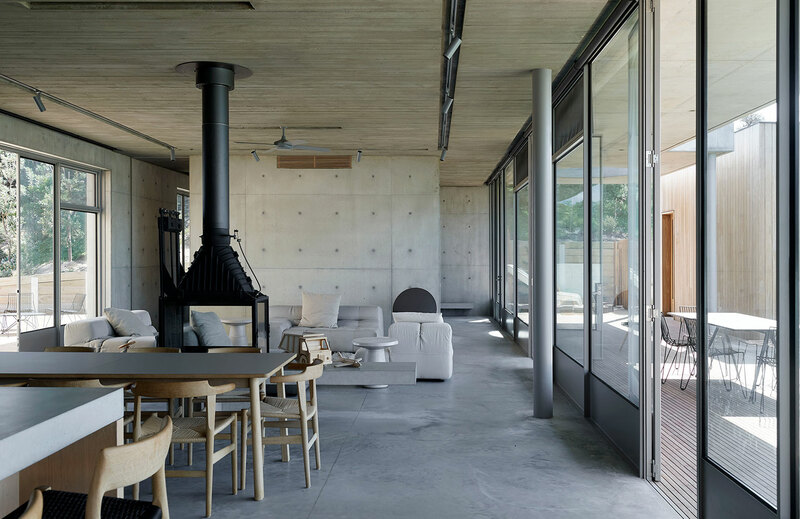 A coastal retreat on the Mornington Peninsula National Park, this house is a study in the contrasting qualities of concrete and timber. 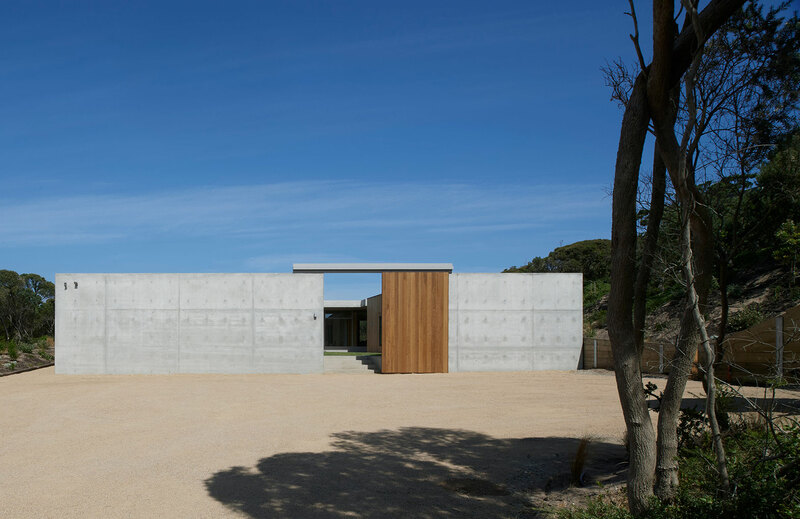 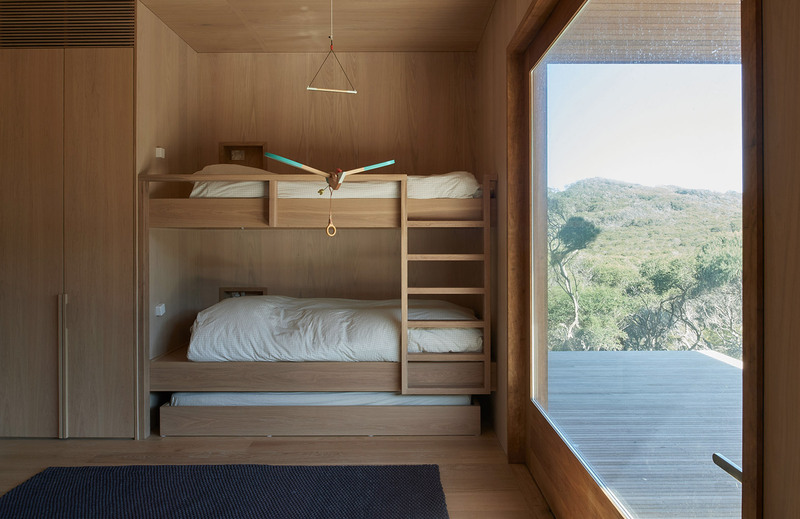 The house sits within the highly protected coastal landscape overlooking Bass Strait, and is subject to the extremes of southerly wind and rain, and bushfire. 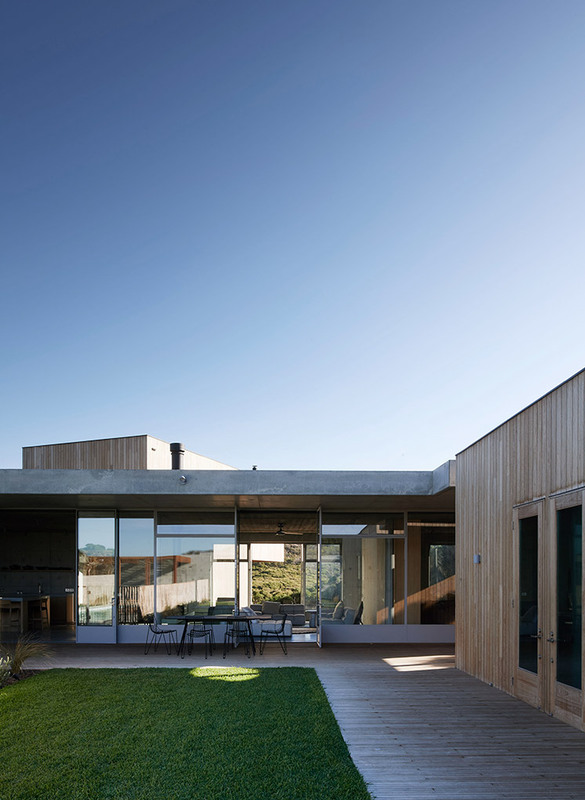 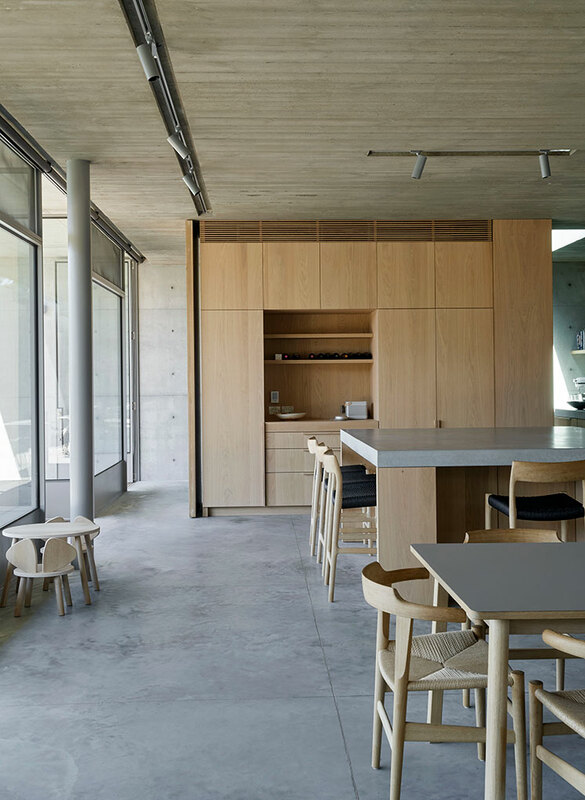 The house responds to the site by forming a sheltered courtyard space on the north side, and an elevated form pointed directly at the ocean view. 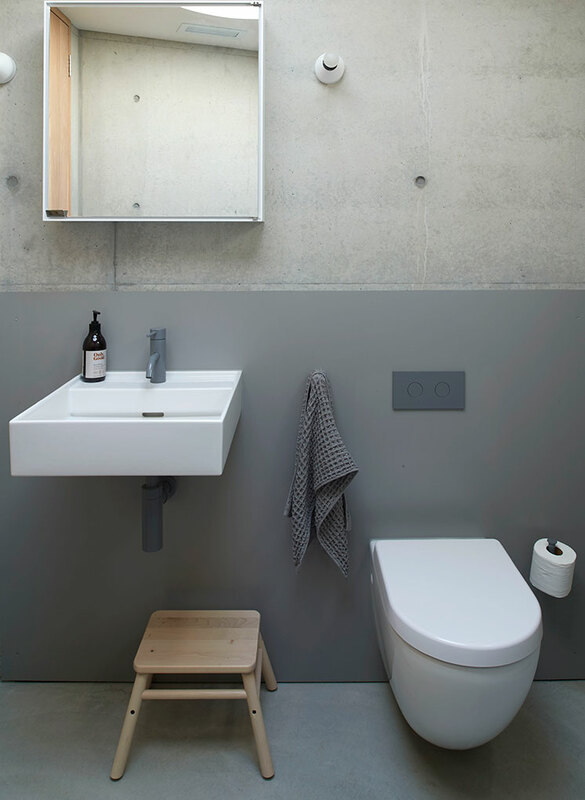 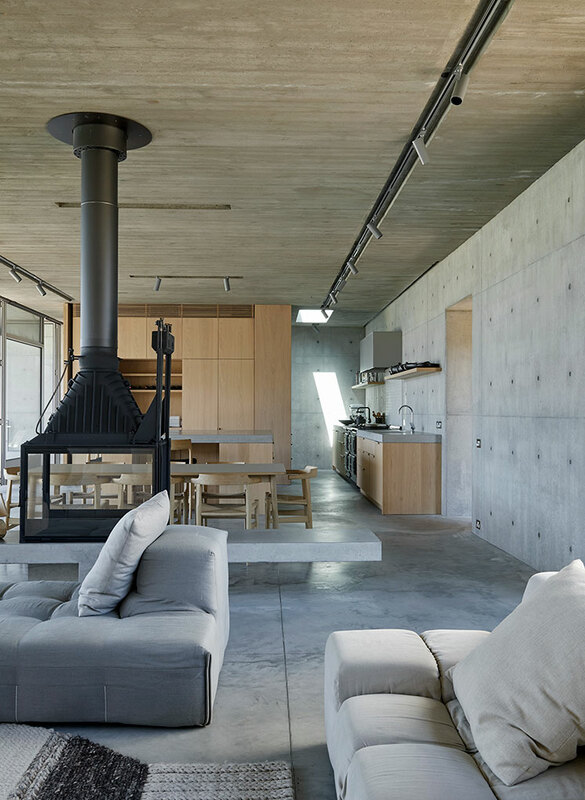 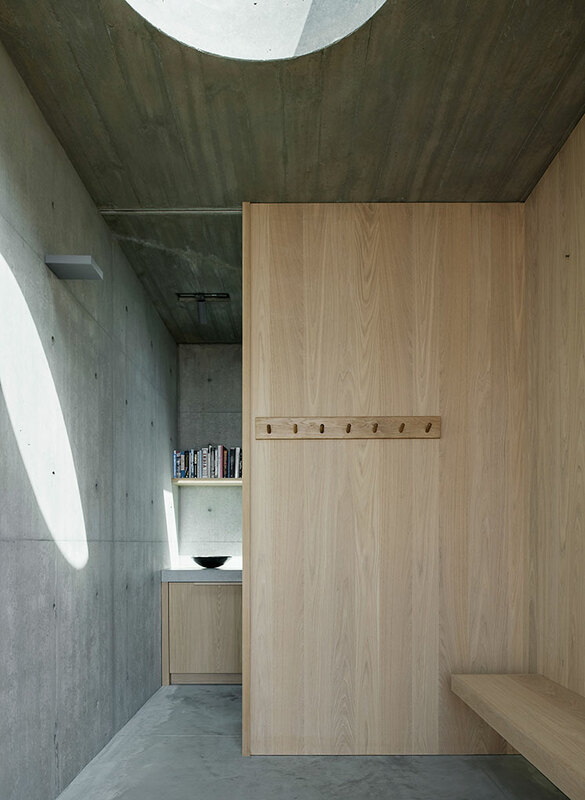 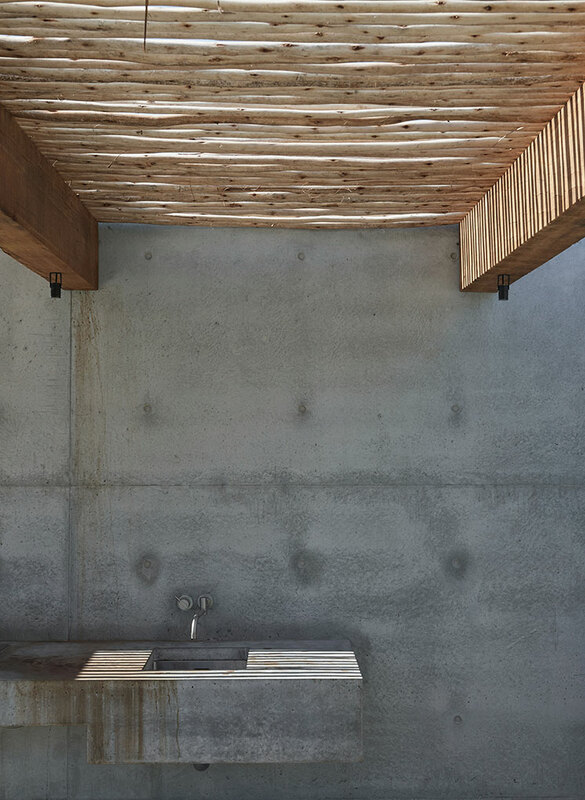 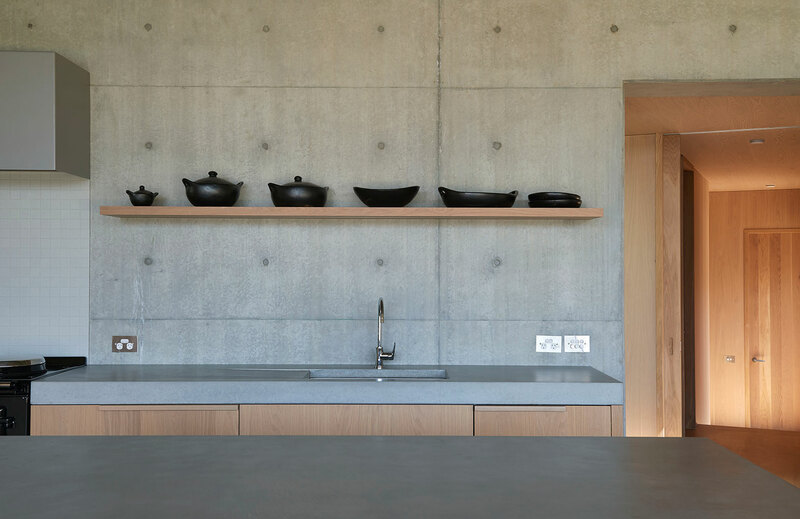 The concrete walls are centrally insulated, and the solid concrete roof externally insulated, to form an extremely energy-efficient building envelope. 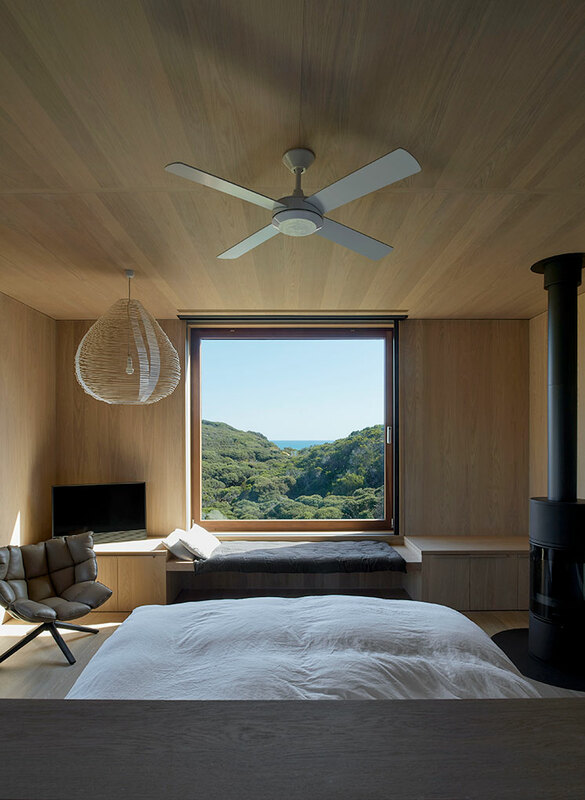 The timber elements are double-insulated, double-glazed with ventilated cladding, to provide a very high level of thermal efficiency.